Pros: Dance, sing, jump, be-boop! Cons: If you don’t like kids, this one is not for you. 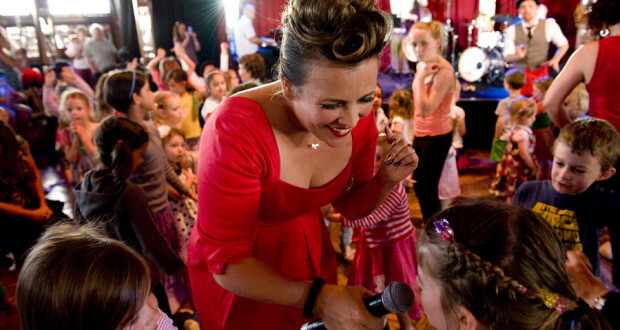 Great fun for families with good quality music and a guaranteed feel-good factor. Those of you familiar with Guru’s Jazzmatazz, a melting pot of jazz and hip-hop that was all the rage back in the 1990s, won’t be surprised by the funky title and are probably already looking for their dancing shoes. 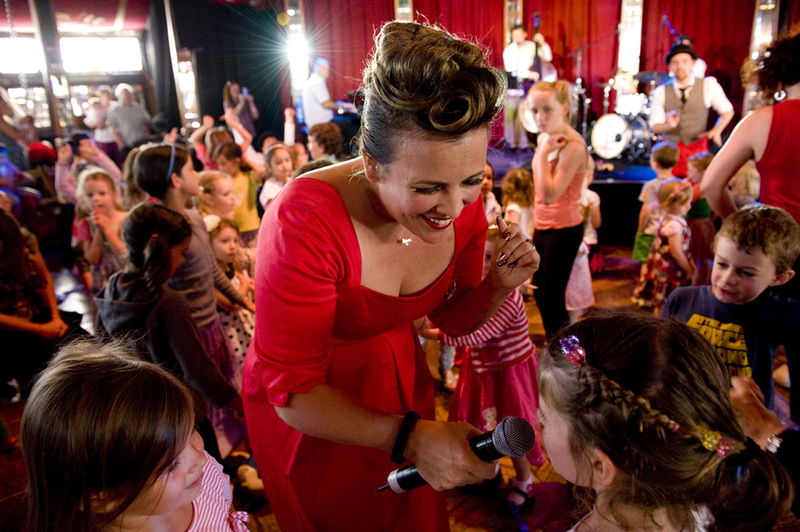 In this fun version by the talented Ozzy soprano and cabaret artist Ali McGregor, the focus is on, well, dancing! And laughing! And having a good time! Yeah! As long as you are aged 0 to 7, or have one or more little ones tagging along, you are guaranteed an hour of absolute joy. The show is led by Ali, who is dressed in eye-catching red for the occasion. She sings, jokes, is playful with the kids and sassy enough to keep the adult audience interested too. Not only is she a great entertainer, she also has a fabulous voice. Accompanying her velvety and vibrant tones are a massive bass and a keyboard, played by musicians who are clearly intent on producing as many funky vibes as possible. Add an aptly dressed dancer who seems to have come straight from Cbeebies and a stage set bang in the middle of the Udderbelly’s saloon, and fun for the little ones is all but guaranteed. On my visit, the little crowd was joyously dancing around and screaming, much to the amusement of the accompanying adults who all seemed pretty pleased to be able to let go for an hour and have a drink or two whilst cheering on their offspring. My little girl seemed very impressed by the other’s dancing but turned out to be a shy little urchin, refusing to join in when asked, clinging to my legs and hiding her little face away. Still, I knew she had fun, because she just didn’t want to leave the stage at the end. This show is one hour of lighthearted classics including the likes of Who Let the Dogs Out, Paper Moon and A-Tisket A-Tasket, joyfully executed and geared towards keeping the little ones jumping and be-booping. It’s de-stressing family fun and it’s on its way to the Edinburgh Fringe Festival. Go across the border if you can’t make any of the London dates!